The Department of Child Safety, Youth and Women (the department) understands that visitors and users of our website are concerned about their privacy and the confidentiality and security of information that is provided to us. The department and is committed to protecting your privacy (PDF, 377 KB) protecting your privacy (DOC, 344 KB) and manages personal information in accordance with the Information Privacy Principles (IPPs) and other obligations containedin the Information Privacy Act 2009 (the IP Act). The IP Act contains 11 Information Privacy Principles (IPPs) which apply to the Department of Child Safety, Youth and Women. IPP5 places an obligation on agencies to take reasonable steps to ensure that people are aware of the types of personal information collected and held by an agency, why that information is held, what it is used for, and how an individual can access their personal information. Our Privacy Guide (PDF, 517 KB) Privacy Guide (DOCX, 308 KB) is designed to meet the department’s obligations imposed by IPP5. In April 2018, the Premier of Queensland announced that the Queensland Government will participating in the National Redress Scheme. The department acknowledges that people who were previously in its care may have experienced child sexual abuse while in care and the Queensland Government has joined the National Redress Scheme to acknowledge and support people who experienced sexual abuse in an institutional setting. In order to ensure the efficient management of the Queensland Government’s participation in the National Redress Scheme, the department will be the central contact point responsible for facilitating communication between all participating Queensland government institutions and the Commonwealth. 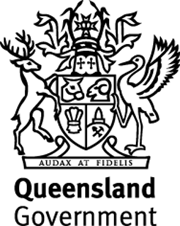 The department will coordinate and manage information requests from the Commonwealth and liaise with other Queensland government agencies in relation to the National Redress Scheme. The department has prepared a Redress Privacy Plan (PDF, 582 KB) Redress Privacy Plan (DOCX, 715 KB) which outlines the obligations on departmental employees in relation to the collection, storage, use and disclosure of personal information associated with the National Redress Scheme. This website contains links to third party sites, both government and non-government. The Department of Child Safety, Youth and Women is not responsible for the privacy or security practices or content of such websites. The Department of Child Safety, Youth and Women collects personal information via surveillance camera systems at some of its office locations. The fact sheet Surveillance cameras and privacy (PDF, 288 KB) Surveillance cameras and privacy (DOC, 341 KB) Surveillance cameras and privacy (RTF, 144 KB) provides information about how this personal information is handled by the department. The department has developed the fact sheet About your privacy - for carers (PDF, 399 KB) About your privacy - for carers (DOC, 370 KB) to provide carers with information on how we will handle their personal information, and their obligations to respect the privacy and confidentiality of children in their care. The Department of Child Safety, Youth and Women provide funding to the non-government sector for the delivery of services. The fact sheet Information Privacy and Contracted Service Providers (PDF, 426 KB) Information Privacy and Contracted Service Providers (DOC, 353 KB) Information Privacy and Contracted Service Providers (RTF, 102 KB) provides information about the obligations of our contracted service providers when handling personal information in connection with fulfilling the obligations of service agreements/contracts. The department is committed to effective complaints management and will deal with all complaints in a responsive, confidential and fair manner. Complaints can be made regarding a range of issues, but the information on this page is only about privacy complaints. For information about other complaints, please refer to our complaints management process. If your privacy complaint relates to the actions of an organisation that is funded by the department to provide services on behalf of the department, you should contact that organisation directly. A privacy complaint is a complaint about an act or practice of the department in relation to your personal information that is a breach of the department’s obligations under the Information Privacy Act 2009 (IP Act). Personal information is information or an opinion, including information or an opinion forming part of a database, whether true or not, and whether recorded in a material form or not, about an individual whose identity is apparent, or can reasonably be ascertained, from the information or opinion. Who can make a privacy complaint? You can make a privacy complaint if you believe that the department has not handled your personal information in accordance with the IP Act. evidence of your identity (see Evidence of identity below). You can make a complaint if you believe that the department has not handled your personal information in accordance with the IP Act (e.g. in relation to the collection, security, use and disclosure of that information). Generally a privacy complaint must be made within 12 months after you became aware of the department’s decision or action. Complaints made outside this time period will only be reviewed if we consider that there are exceptional circumstances. You can make a complaint by completing the Privacy Complaint form (DOCX). what effect has it had on you? what do you want the department to do? Examples of evidence which will be accepted include a certified copy of your current passport, driver’s licence or birth certificate. Copies of documents proving identity should be certified by a lawyer, notary public, a commissioner for declarations or a justice of the peace. Please ensure that you forward the document with the certifying officer’s original signature. A photocopy of the certifying officer’s signature cannot be accepted. attending in person at 111 George Street, Brisbane Qld 4000, and asking to speak to someone from the Information Privacy team, RTI, Information Privacy and Screening Unit. What if I am not satisfied with the way my complaint is handled? If 45 business days have elapsed since you made your complaint and you have not received a response from the department, or if you have received a response but you do not consider it to be an adequate response, you may refer the matter to the Office of the Information Commissioner (OIC). Information about their processes is available at Office of the Information Commissioner (OIC). If you are not satisfied with the outcome of the OIC complaint process, you may ask them to refer the matter to the Queensland Civil and Administrative Tribunal. Information about their processes is available at Queensland Civil and Administrative Tribunal. Privacy notice: The Department of Child Safety, Youth and Women collects personal information to assess and manage your complaint or respond to your feedback. Your information will be used for purposes related to the management of your complaint or feedback and may also be used for the administration and evaluation of the complaint or feedback process. Your personal information will be managed in accordance with the Information Privacy Act 2009 (IP Act). Personal information in relation to your complaint may be disclosed to other people or agencies for the purpose of responding to or managing complaint, including the Information Commissioner and the Queensland Civil and Administrative Tribunal to enable us to participate in any external review or appeal processes, or for monitoring and evaluating the department’s privacy compliance.